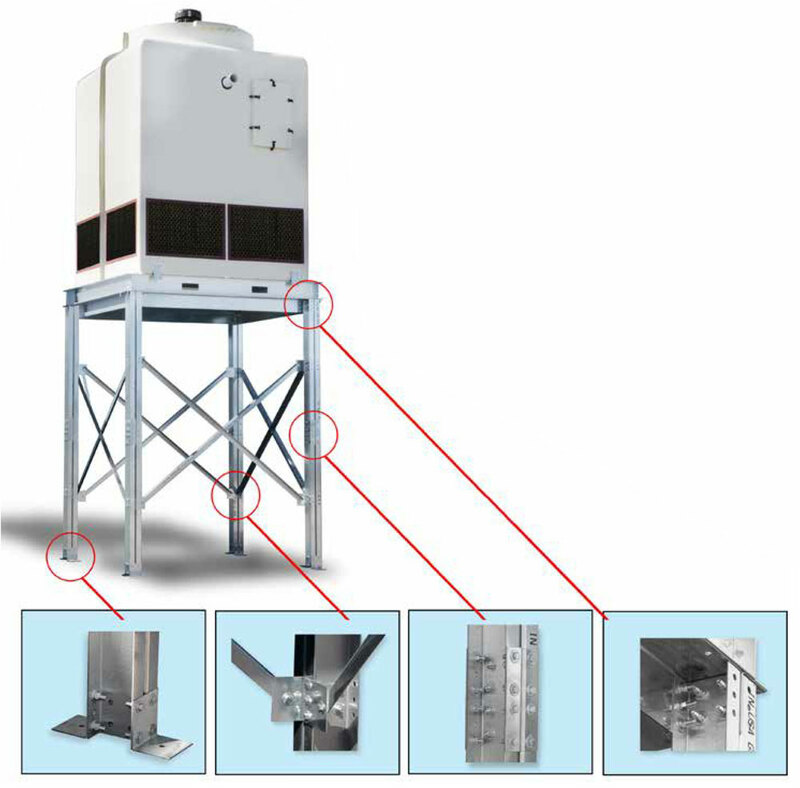 A tower stand is used to elevate the outdoor mounted cooling tower to facilitate gravity return of water from the cooling tower to an indoor tank. Advantage Power Tower cooling tower cells from 45-135 ton capacity use a galvanized steel bolt together stand. The galvanized steel bolt together stand provides a rigid mounting and is easy to install. It requires no welding or post assembly painting and is designed to last for many years. The stand is available in three (3) heights; 5 foot, 10 foot and 15 foot. Power Tower cooling towers from 170-540 ton capacity use a welded and painted steel stand. Would you like to Download FYI #320 to your browser?